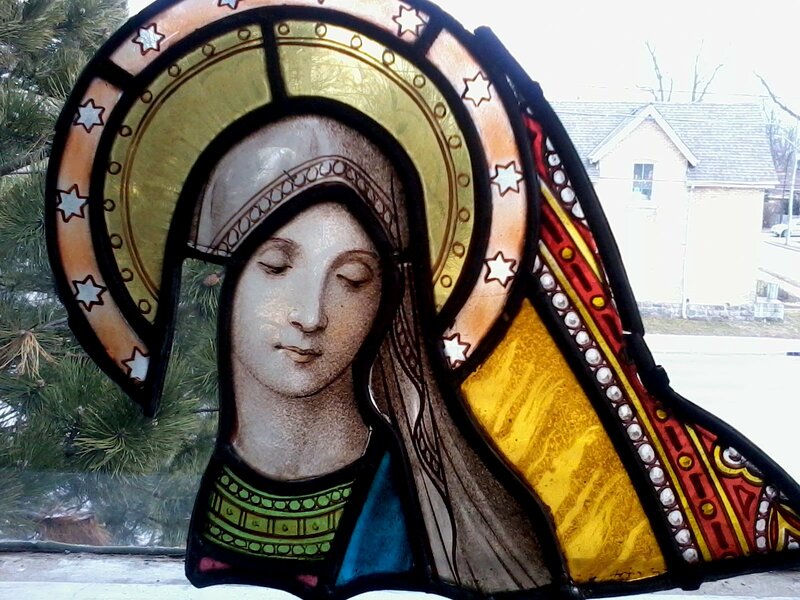 Rose Window Stained Glass is a professional stained glass studio in beautiful Terence Bay, Nova Scotia. 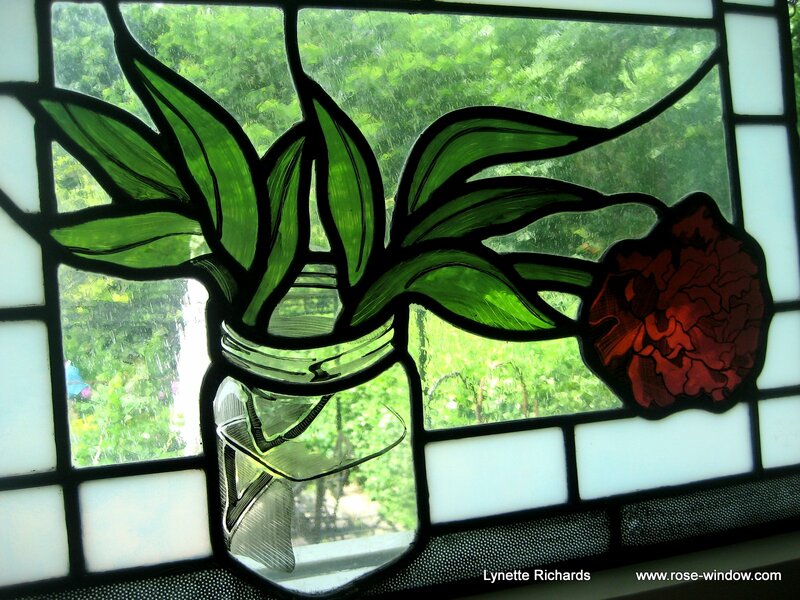 Owner Lynette Richards is a thoroughly experienced tradesperson and Fine Artist. 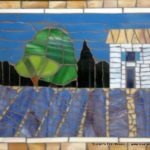 She approaches stained glass through Art and Architecture, rather than hobby. 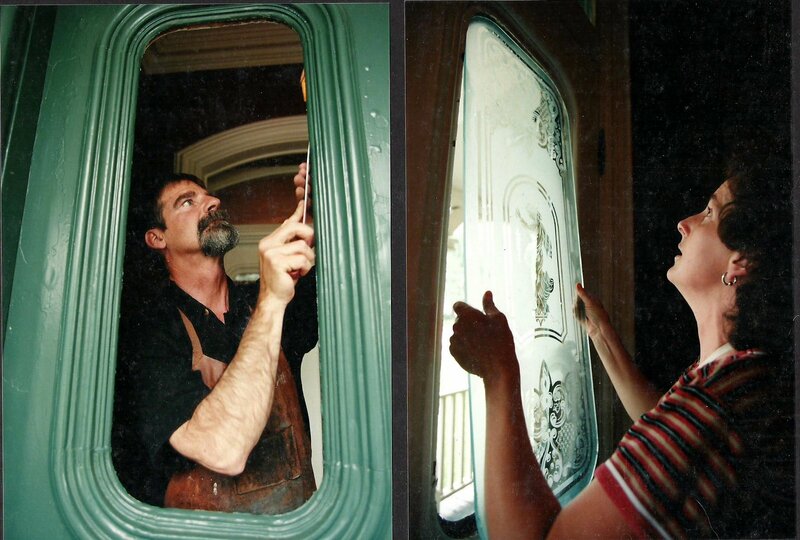 Over 20 years ago a European Master Glazier took her on as his apprentice. 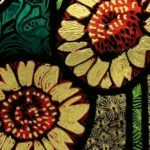 This intensive 3 year education involved learning a thousand years of stained glass history and method as it evolved alongside architecture. Lynette is uniquely qualified to design and build stained glass windows rugged enough to outlive us, and beautiful enough to be worthy of longevity! Click here to send a message or receive news. Windows must be built to withstand extreme weather and prolonged use. They must enhance architecture and harmonize sunlight and view in each unique situation. 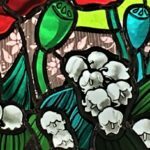 Much of Canada’s architectural beauty was created over 100 years ago during the Arts and Crafts Movement in which decorative glass was an integral component of architectural design, along with wood, tile, fabric, and metal. Much is in need of maintenance or risks being lost. Call Lynette to evaluate your windows and provide a free estimate. Creating beauty in our homes and communities is a human impulse as relevant today as it was for ancient civilizations. Do you need privacy? Are you expressing yourself through style? Do you appreciate quality? 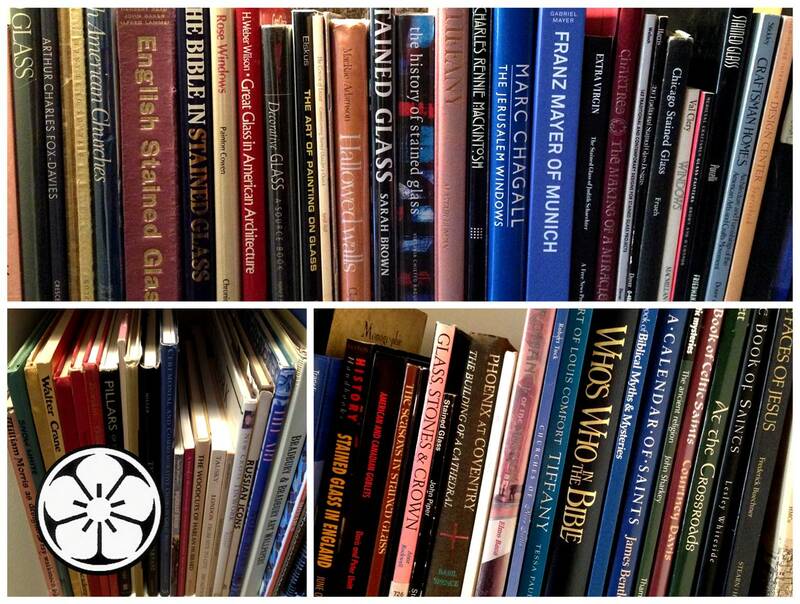 Ask Lynette to help you make your visions reality! 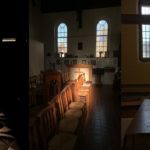 Sacred windows are SO much more than just pictures! 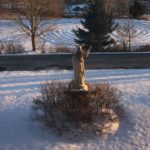 They are rooted in ancient history, commemorate community stories, AND they are living reminders of the miracle of Life. 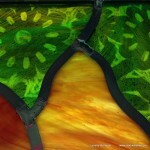 Inspired stained glass windows make us aware of Light, the movement of the sun, and passage of time. They glorify Light to inspire and invite new revelation. Do you want to create a new window? Ask Lynette to help you make great windows within your budget! 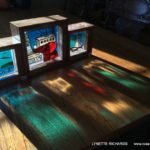 Lynette is uniquely qualified to design and build stained glass windows rugged enough to outlive us and worthy of longevity! History matters and you are making history! Call Lynette for a consultation. January 9, 2019 - 2019 Happy New Year! 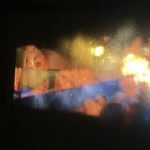 June 26, 2018 - Hot Summer 2018! August 30, 2017 - Glorious September! May 25, 2017 - Spring Green and Peepers Singing! 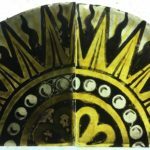 December 13, 2016 - New in 2017! August 16, 2016 - Photos from Summer Workshops! 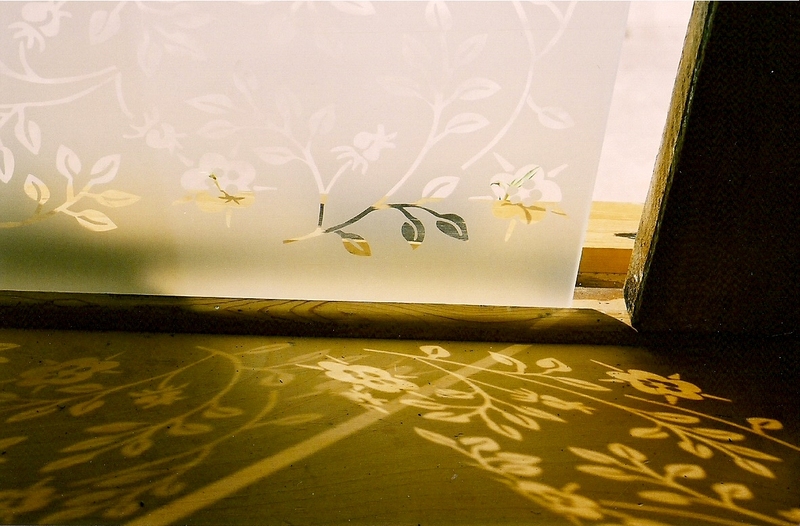 Lynette is a NSDCC Master Artisan with over 20 years experience as a Stained Glass Professional. 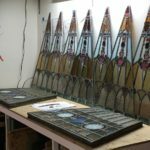 Call her for stained glass repair, stained glass restoration, stained glass classes, church stained glass, Nova Scotia stained glass, and stained glass in Halifax. 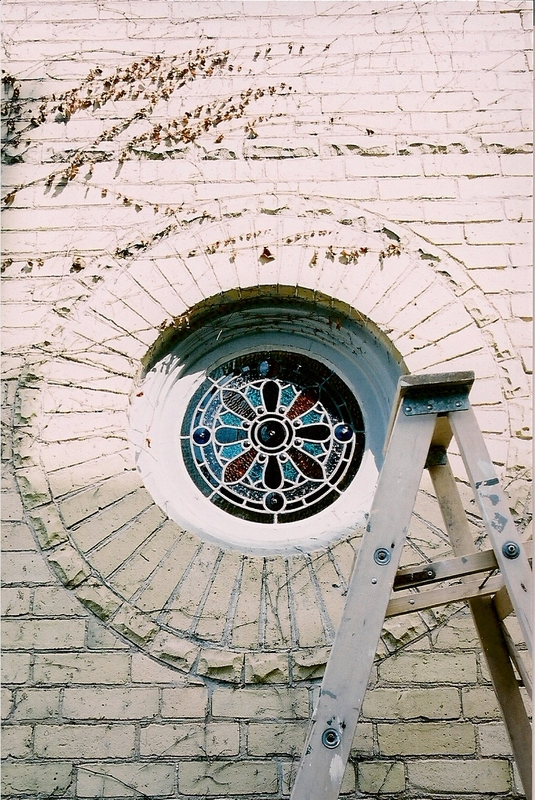 She has extensive experience including with Sunrise Stained Glass and Art Femenella during the restoration of the Basilica of Our Lady Immaculate, Guelph Ontario, now a National Historic Site of Canada. Her Public Art is installed in schools, universities, libraries, and archives. Lynette welcomes visitors and teaches stained glass classes in her studio Rose Window Stained Glass, Terence Bay, Halifax, Nova Scotia anytime by appointment. Member of CARFAC, GAAC, NSDCC, VANS, PCAFA.